You want to simplify your security. You want to elimate the complexities of being secure but don't want to compromise your protection. You want an Aprotex card access system. A card access system is one of the only 'bank vault' secure systems with the ease of 'on-off' simplicity. 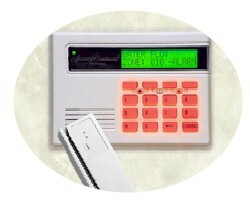 An Aprotex card access system can provide keypads with built in proximity readers, classic card swipe readers and new keychain sized personal identification devices (small enough to fit on your keychain) which automatically signals your presence, and eliminates button pushing or code entry. Both card and keychain ID's are small, simple and convenient. 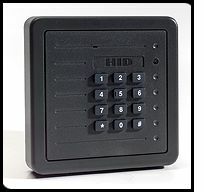 For businesses with electronic locking systems, the devices eliminate the need for keys, not to mention all the time and money spent keeping track of them and routine lock changes as well. Access can be monitored, by individual cards, to when the person enters or exits the building including when and where in the building. ID badge systems can be incorporated into the card access system to create a visual identification standard as well as higher security. An Aprotex card access system can have the control units slaved together to create an almost unlimited expansion capability, all with the access reporting information you need to track building access.